As we head towards a new year and new beginnings, I wanted to introduce you to a (new to me) design site for pure color inspiration! It is called Design Seeds, and I actually came across it via Pinterest. 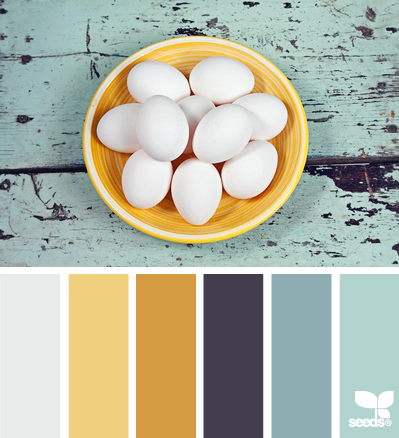 At first, and probably like many, I thought that the color swatches beautifully matched with photography were paint color cards. Instead, they are the creation of designer Jessica, who states that her color cards “are a modern interpretation of her original color journals.” I think they are just brilliant! And I suppose that if you wanted paint colors to match, you could easily take one of these color cards to your local store, choose your paint brand, and have the color “matched” that way. 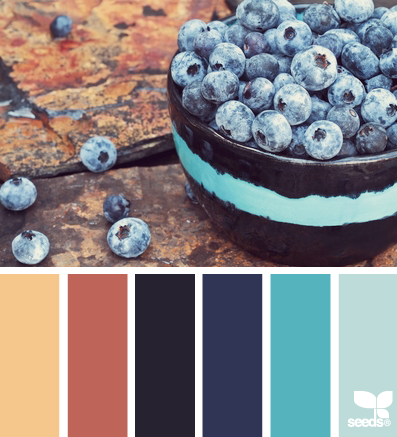 I think these little bits of color inspiration could be used in SO many ways throughout the home, garden, and for craft creations. 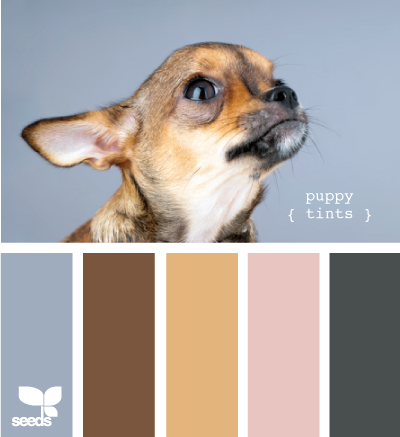 I have certainly used photographs before to pull colors to create my pet products. Here are some beautiful samples of Jessica’s color swatches. 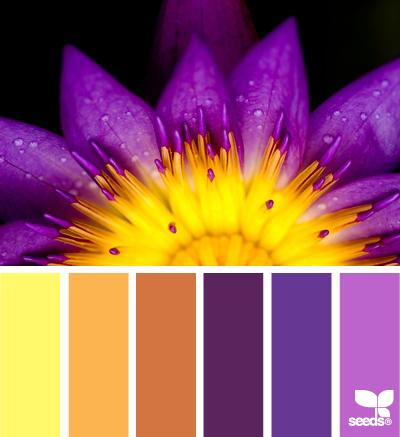 Visit Design Seeds to see all the many beautiful color palettes. You can search by both color value and by theme. 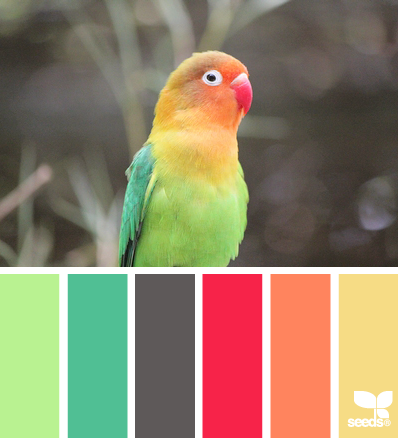 And the “Fresh Hues” link on the site takes you to the blog for even more color inspiration. Here’s to a colorful start to the New Year! Oh Those VERY Big Jingle Bells! Well, being short a sleigh and some horses (sigh), oh and of course any snow, Gracie decided that SHE should claim the big jingle bells! And when kitty Tyler decided that they looked interesting too, she grabbed them by their connecting rope and took them away! Tyler shows some real interest…then Gracie takes charge. 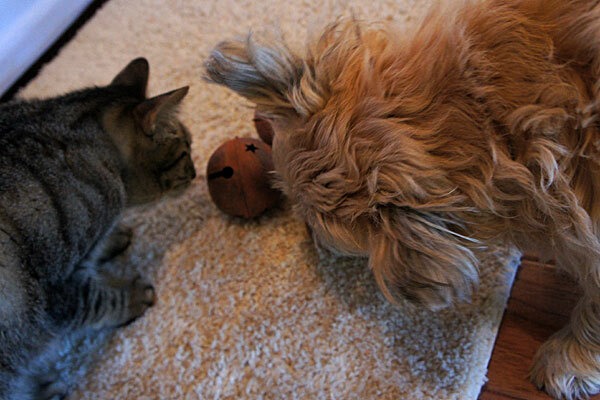 I have created a new catnip kick toy this weekend! 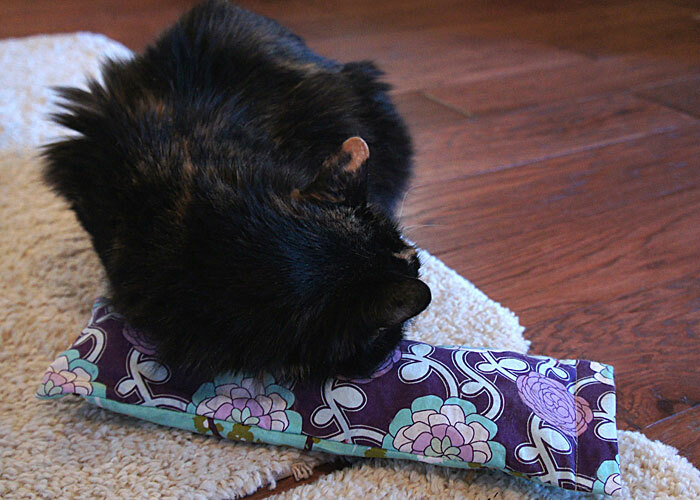 I still need to create the listing on Etsy and place on the blog here, but I thought I would give you a “kitty testing” preview. 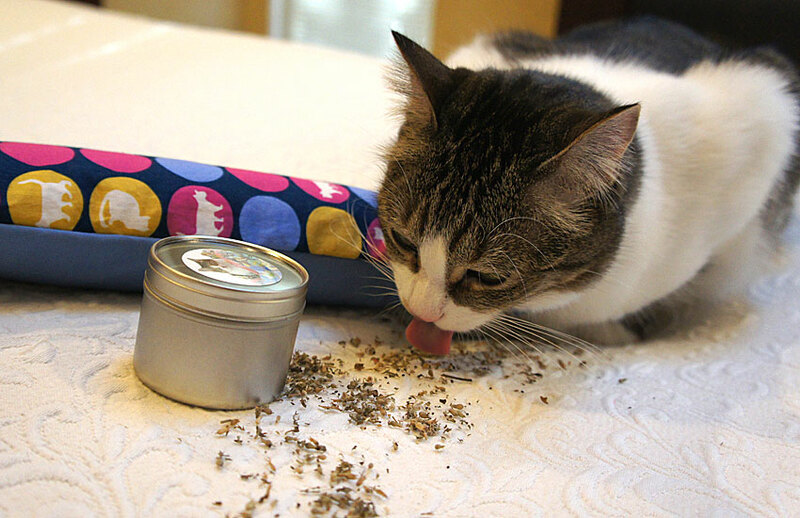 All four of my cats love catnip. 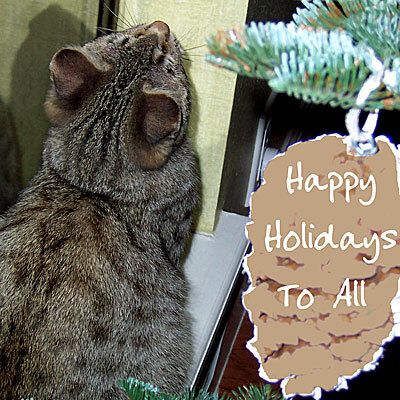 Some cats don’t respond to it, so I guess I’m lucky that all four of mine enjoy it. It makes them all a little crazy. 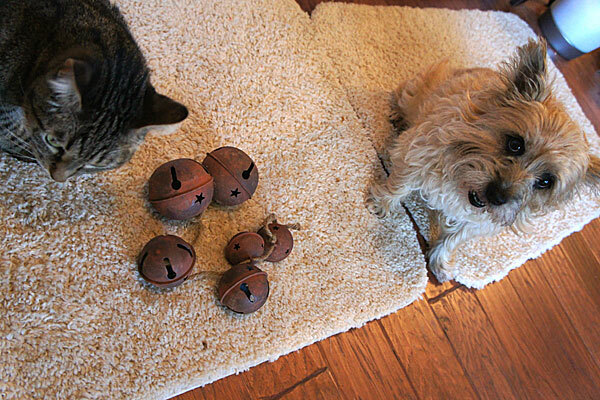 Gracie beware…the cats in the house have all gone wild! 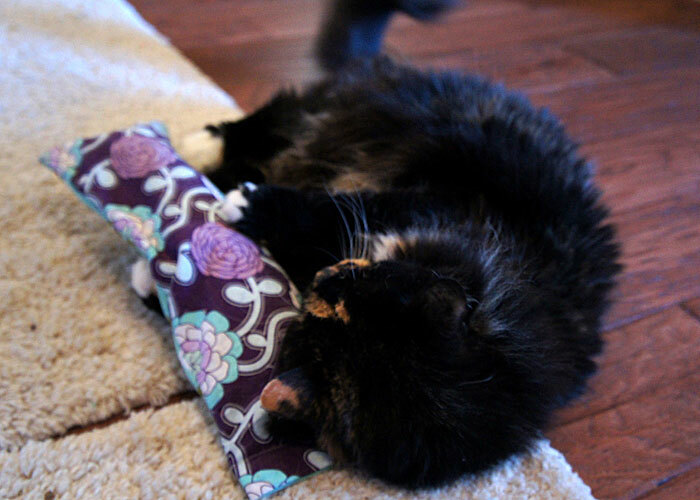 I especially love watching Miss Big Kitty play. 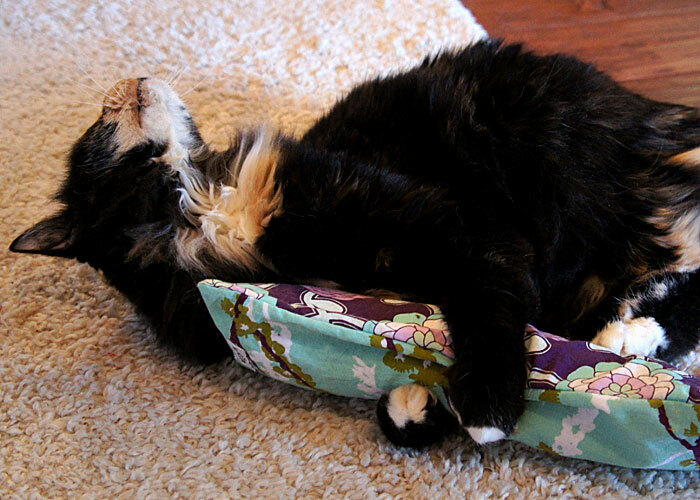 She is fourteen years old now and has some health issues, but can still play like a kitten. She was really kicking with full force! 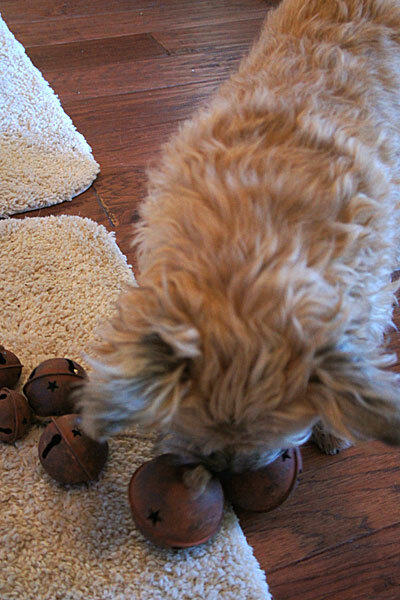 Like my new dog toys, these will be offered as custom toys made with your choice of fabrics. 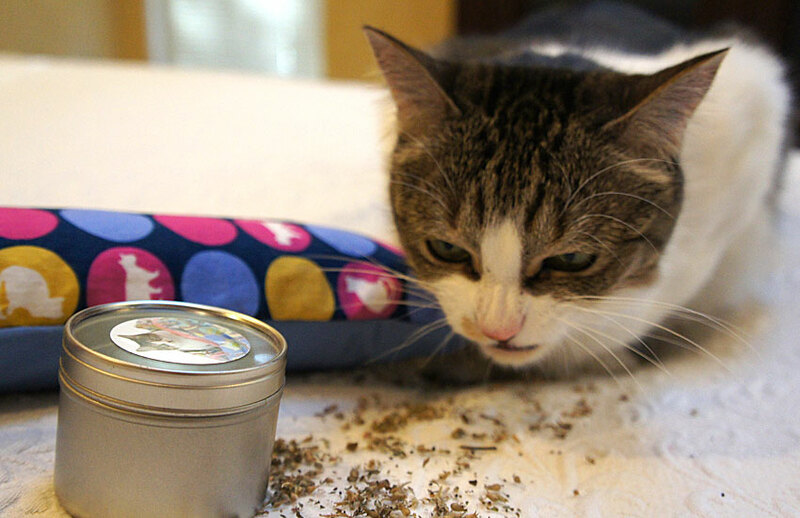 I have purchased many catnip toys and the main complaint for me is that the catnip wears out and the toys aren’t attractive to the cats anymore. Not on these! They are made double-layered, with an interior canvas covered tube with fiberfill, and a separate colorful quilt cotton removable outer layer with velcro closure. 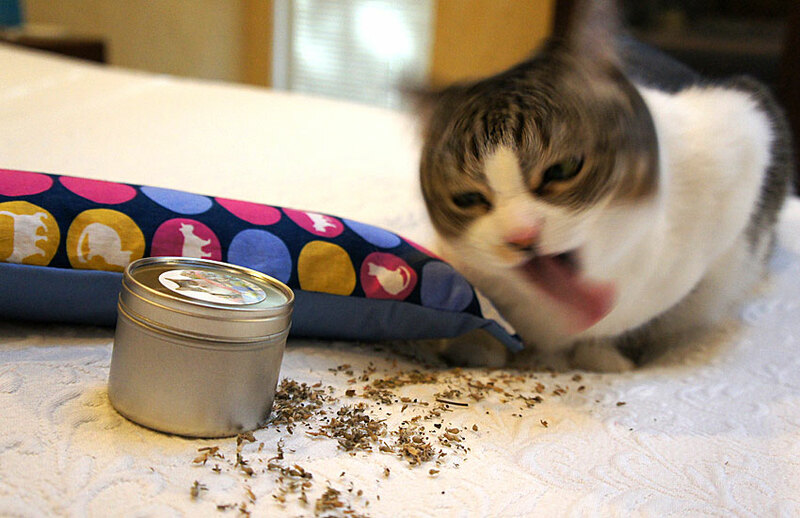 Need more catnip – just open, shake out the old, and add some new and you are ready to go again!! Go Miss Big Kitty, go!